Two of the three big manufacturers of LNG Storage Tanks in the world have awarded significant contracts to West Australian-based specialist lifting firm, Vector Lifting. One of the Japanese heavy engineering firms has commissioned Jandakot-based Vector Lifting on many projects since the early nineties, and company spokesman, Martin Tognala, says it is already in encouraging talks with the third major LNG storage tank manufacturer. 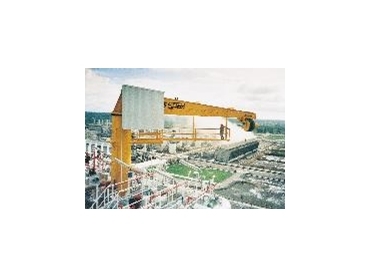 Ishikawajiima-Harima Heavy Industries has awarded a design and manufacture contract for five x 6 tonne rated capacity explosion-proof hoists to be installed in QATAR. 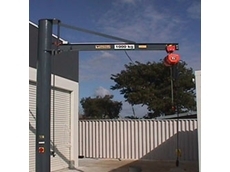 Each hoist incorporates two drum winches providing full redundancy. Both drums would operate together under normal operating conditions, but have the capacity to operate and lift 6 tonnes individually if required. 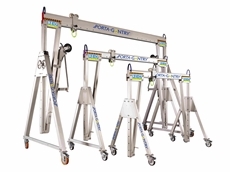 The hoists are designed to travel along a monorail thereby servicing all seven of the storage tank LNG pumps, and boast a hook travel of some 65 metres. The hoists primary use will be to remove and replace LNG pumps from storage tanks during maintenance and replacement procedures. 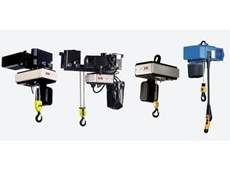 Not surprisingly, these hoists are designed to operate safely and successfully in hazardous area, Zone 1, Gas Group 11A, Temperature Class T3 (Methane Vapour). The second contract, also a design and manufacture order, is with Toyo Kanetsu K.K for two x 11.5 tonne rated capacity, explosion-proof, slewing jib cranes. These will be installed in Irian Jaya, Indonesia. 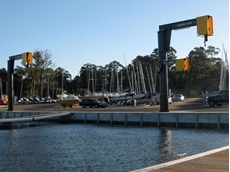 Each has a swing of 11.5 metres and an 11.6 metre underside jib arm, and each provides a lifting height of 65 metres. 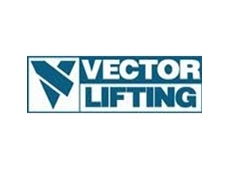 Vector Lifting Sales Engineer, Martin Tognala, said all of the engineering and manufacturing was performed in-house: “We’ve developed quite a reputation for ourselves in the global market when it comes to specialised lifting equipment” he said. “Negotiations with both firms was made easier because of this plus the fact we’ve designed and manufactured explosion-proof jib cranes for Toyo Kanetsu K.K. on many occasions over the past 12 years or so.” he added.